From the top - large knife with work pick; small knife; large knife with hammer head – note: the large green and medium grey role knives come with a pick or hammer head finish. Please advise which option you require on ordering. 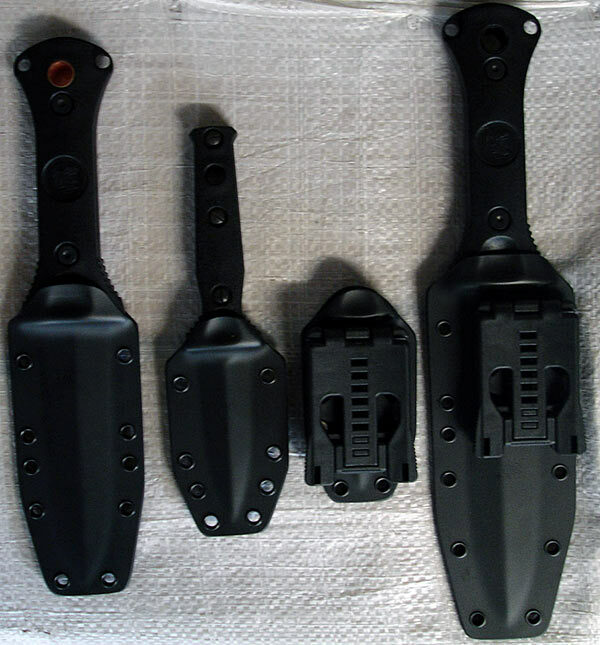 All Todd knives come with kydex sheaths made by Survival Sheath Systems, USA and with a Tek-Lok. The Tek-Lok can be removed if the sheath is to be fastened directly to webbing, body armour or combat vests. An excellent accessory to compliment a top quality knife. The Grey Role model has been brought about by users considering the design and materials job-perfect and requesting an in-between sized knife to finish the set. The grey role is just that, suitable for a wide range of employments. These knives are serious working tools and are made from the highest quality materials and are single-edged. 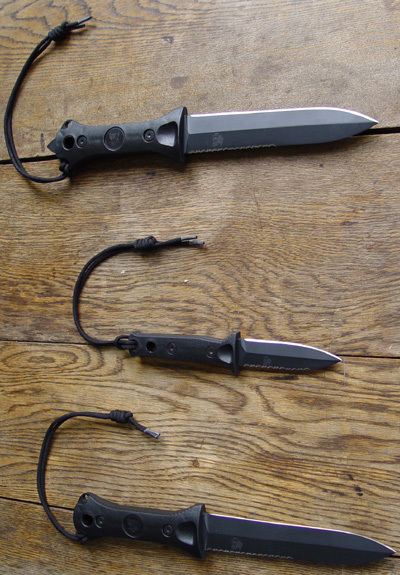 We have knives for hunting, hiking, bush survival and tactical uses. Large Green Role Knife with Kydex Survival Sheath and Techlok- $275 + freight and handling. Medium Grey Role Knife with Kydex Survival Sheath and Techlok- $255 + freight and handling. Small Black Role Knife with Kydex Survival Sheath and Techlok- $200 + freight and handling. Dispatchett with sheath $330.00 + freight and handling. On receiving your order we will email an invoice statement with the total price of the order plus postage and packaging. 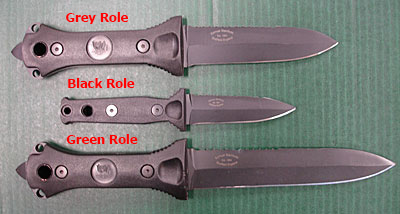 Note: the large green and medium grey role knives come with a pick or hammer head finish. Please advise which option you require on ordering. Check picture at top of page.